Diamonds may be forever, but supplies are fading fast. After two fruitless decades of diamond exploration, mining companies are now scraping the bottom of their existing assets, facing a seemingly inevitable decline in production from 2019. China’s middle classes are demanding soaring numbers of the precious stones, and jewellery makers are increasingly desperate to gain access to a rough diamond source. Rio Tinto’s first auctions of the year, held in Antwerp and Israel last month, saw unprecedented levels of interest and, as diamond demand starts to outpace supply over the next five years, competition will become more fierce. Only around 30 significant diamond mines are in production, according to Petra Diamonds, and a tier-one mine hasn’t been found since the 1990s, despite billions spent on exploration. Edward Sterck, analyst at BMO Capital Markets, says that diamond deposits are “pretty tricky to find”. “They’re not large deposits compared to the deposits for other commodities. Even once you find one, there’s no guarantee it’s diamondiferous and even if it is, there’s no guarantee that it’s economic”, he says. De Beers estimates that the success rate for finding an economic diamondiferous mine is around 1pc. As the major existing diamond mines mature past their production peaks, more companies are converting open-pit mines into underground resources in an attempt to find the last available stones. 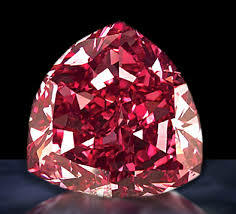 But underground mines produce fewer diamonds and have higher operating costs. “The existing mines in Russia and Canada have been moving from open-pit operations to underground production. But new projects are not going to make up for the declining production from the big production centres in Russia and Botswana and so on”, says Sterck. De Beers is converting its Venetia open pit mine in South Africa into an underground mine, a process that will take almost a decade. The mine makes up 40pc of South Africa’s diamond production, and the conversion is expected to extend the mine’s lifespan by 25 years to 2046. Stephen Lussier, executive director of De Beers, says that the company is expanding to simply maintain production, but keeping worldwide diamond production levels stable is unlikely. “Many of the world’s diamond mines aren’t getting younger, and as they get older, they tend to get less productive. We need to find new things in order to simply maintain current production”, he says. Throughout the industry, he says, production will fall unless someone makes a major discovery — which is “always possible, but not probable”. “It looks like the world is getting to the end of that period of diamond production expansion,” says Lussier. Bain and Company’s Global Diamond Industry Report 2013 predicts that production will start to decline by 2019, falling by 1.9pc a year. The prospective drop in supply means that jewellery makers are working to build closer ties with producers in order to have greater assurance of supply. “If you have a scale retail operation, the one thing you’re concerned about is not so much the price you pay but the ability to access supply on a regular basis which you need to feed your retail machine”, says Lussier. The inevitable result of this scramble for diamonds is a rising price. Analyst Edward Sterck estimates that diamond prices are already up 7pc this year and he predicts that the price will continue to rise by 5pc to 7pc per annum for the next few years. When diamond production begins to fall, price rises could become even more aggressive. “We produced about the same number of carats as the year before, but the strong prices really increased our earnings”, said Clifford Elphick, chief executive of Gem Diamonds, which saw a 15.5pc rise in profits before tax last year. “There simply isn’t any new mine, any new discovery, coming on-stream. The net effect of that is, as populations grow, as people get more wealthy and have more disposable income and as the consumer market in China grows, you have a situation where prices will rise for the foreseeable future,” says Elphick. Although diamond production is set to fall, the demand from countries with a growing middle class is rising fast. The international diamond market has shifted dramatically over the past decade, with demand from China making up an increasingly large share of global demand. In 2000, the whole of Asia made up 8pc of global diamond jewellery sales, while in 2012 China and Hong Kong alone made up 13pc, with the expectation that this will rise to 18pc by 2017. 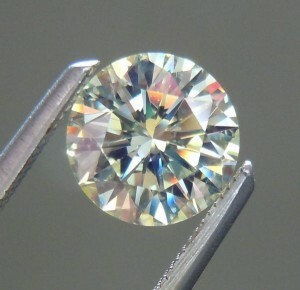 Bain’s 2013 diamond report found that the stones have strong spiritual resonance in China, where diamonds are associated with eternity and high status. And the country’s affluent middle class is predicted to grow by 60pc, or 200m, to a total of more than 500m over the next six years. In response to these trends, Chow Tai Fook, a jewellery chain in China with double the revenue of Tiffany & Co, has set up its own polishing factories, so that it can buy rough diamonds directly from miners. “They’re very important people in the diamond industry”, says Gem Diamond’s Elphick. “I first went to China in 1988 and I’ve seen the transformation and the huge number of stores opening in not just the first-tier cities, but also the second and third and fourth-tier cities. “It’s simply remarkable what’s going on there. We see the volume of goods which is headed that way – it’s really spectacular,” he adds. Although China is increasingly active in mining other assets, so far the country is focused on buying diamonds from existing producers. Cathy Malins, from Petra Diamonds, says the company has not yet had to compete with China for mines. “There are so few diamond mines worldwide that there are inherently high barriers to enter the market. But there are signs that China is starting to look at ways to encourage its diamond industry and I think it’s likely they could look at diamond mining assets in the future, as they have no significant producing diamond mines in country,” she says. For those companies that already have an existing stake in the market, any extra discovery will offer a promising opportunity. Stuart Brown, chief executive of Firestone Diamonds, says that the company aims to supply into the gap between supply and demand, and expects to benefit. He also believes that investment and technology may lead to further operations. “Take the case of the Liqhobong diamond mine [Firestone’s Lesotho mine]. It has been around for nearly 60 years and only now is it coming to production. “I think we will have far longer than the next two decades to discover the solution,” he says. A new diamond mine could always be discovered tomorrow, of course. 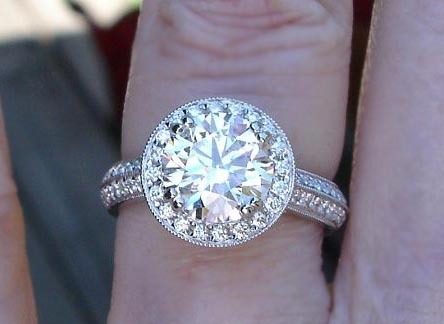 But it looks like engagement rings won’t be costing the traditional three months’ salary for much longer. THE OPPORTUNITY STILL EXISTS TO SURPRISE YOUR GIRLFRIEND AND PROPOSE ON T.V. IN NEW YORK CITY! 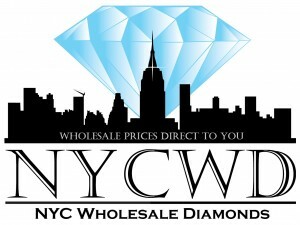 The hit TLC show “Say Yes to the Dress” is asking NYC Wholesale Diamonds president Keith Saxe to help them find the guy who wants to pop the question to his special someone in NYC, whether it’s on the Brooklyn Bridge or the top of the Empire State building, they want to be there to catch it on camera. As a special bonus, Randy Fenoli, will whisk her away immediately after to shop for her dream wedding dress at the famous Kleinfeld Bridal. If interested email KS@NYCWD.com with a little bit about yourself, your girlfriend and recent photo of the two of you. Good luck! Natural rough diamond prices may rise 5 to 10 percent in 2014 on recovering demand for jewellery in developed and emerging markets, the head of Belgium’s diamond lobby told Reuters in an interview. The global market came under pressure in 2013 as a weakening rupee and tight credit conditions suppressed demand from the world’s biggest diamond polishing marker, India. Polished diamond prices increased in all categories in 2014 as trade volumes reached their highest level since early 2011, diamond market watcher Rapaport said. 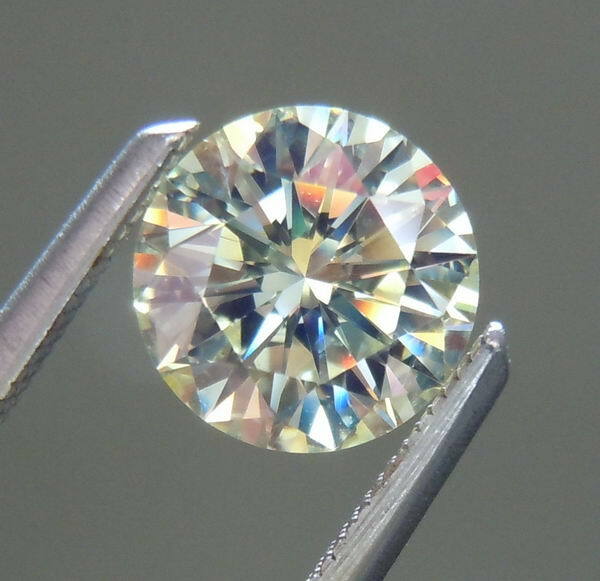 A positive polished market could put rough prices on a healthier footing in 2014, according to Stephane Fischler, president of the Antwerp World Diamond Centre (AWDC). “We have already had an increase in rough prices in the first quarter. They could gain up to 5 percent more by the end of the year,” Fischler said in an interview in Moscow. He said there was a “healthy outlook” for rough diamond prices this year, forecasting an overall rise of between 5 and 10 percent. The AWDC is a private foundation lobbying in the interests of the national diamond industry based in Antwerp. According to AWDC, over 80 percent of all rough and 50 percent of all polished diamonds in the world pass through Antwerp. The world’s largest diamond miner by carats – Russia’s Alrosa – in January said it was “moderately optimistic” about 2014 after seeing its average selling price for gem-quality diamonds fall by 9 percent last year. The average price of rough diamonds exported from Antwerp in February was up 18 percent from December 2013 but still 12 percent lower year on year, according to Reuters calculations based on AWDC data. BETTING ON THE UNITED STATES Traditionally the largest retail diamond market, the US jewellery market is set to grow by 4 to 8 percent annually for 5 years from 2013 with stronger growth in 2013-2014, according to estimates from the diamond industry research team at consultancy Equity Communications. According to Rapaport, US jewellery store sales for the first two months of 2014 have risen by more than 5 percent. China is the second largest diamond market and growth is also expected there as its wedding jewellery market is booming and disposable incomes of the expanding middle class are rising. Chow Tai Fook, the world’s largest jeweller by market capitalisation, posted a 14-percent jump in same-store sales of gem-set jewellery in the first quarter year on year. DON’T DISCOUNT AFRICA Along with China and India growth, Fischler also has “very good hopes” of a resurgence in European demand and said Latin America is already emerging as a market with good demand potential. Africa, which has its own significant mineral reserves, could in the longer term become not only a major producer of rough diamonds but also a significant buyer of the polished product, he said. Every month Belgium imports 6-10 million carats of rough diamonds worth more than $1 billion and exports a comparable amount, being the main trading centre for raw material mined all over the world. Alrosa, which produces about 37 million carats of diamonds per year, currently sells about a half of its output to Belgium, a proportion Fischler expects to remain stable or to grow in 2014. 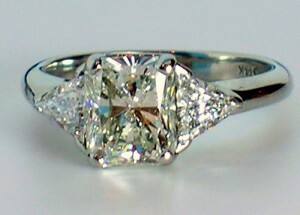 WANT TO PROPOSE IN NYC ON A HIT T.V. SHOW? Looking to surprise your girlfriend and PROPOSE in NYC?